The Reading and Language Intervention for Children with Down Syndrome (RLI) is a teaching program designed to improve reading and language outcomes for children with Down syndrome. It supplements and supports regular teaching with daily one-to-one intervention sessions. The intervention sessions follow a consistent format within which instruction is carefully targeted to the individual student. RLI offers educators a targeted, evidence-based approach to support the development of reading and language skills in children with Down syndrome aged from 5 years. It is designed to be delivered in school by the child's teaching assistant, supported by their class teacher and special educational needs team. RLI incorporates best practice in carefully-structured activities delivered in fast-paced daily teaching sessions. RLI includes a reading strand and a language strand, each of which includes several components. The intervention follows a prescribed framework within which content and teaching are tailored to meet individual needs. It was evaluated in a randomized controlled trial and found to improve rates of progress compared to ordinary teaching. The intervention is described in a detailed handbook. The handbook is accompanied by two DVDs demonstrating assessment techniques and showing example teaching sessions, and a resource CD with assessment and planning forms and example language teaching materials. An online training course is available to supplement the handbook with additional support for educators implementing the intervention. 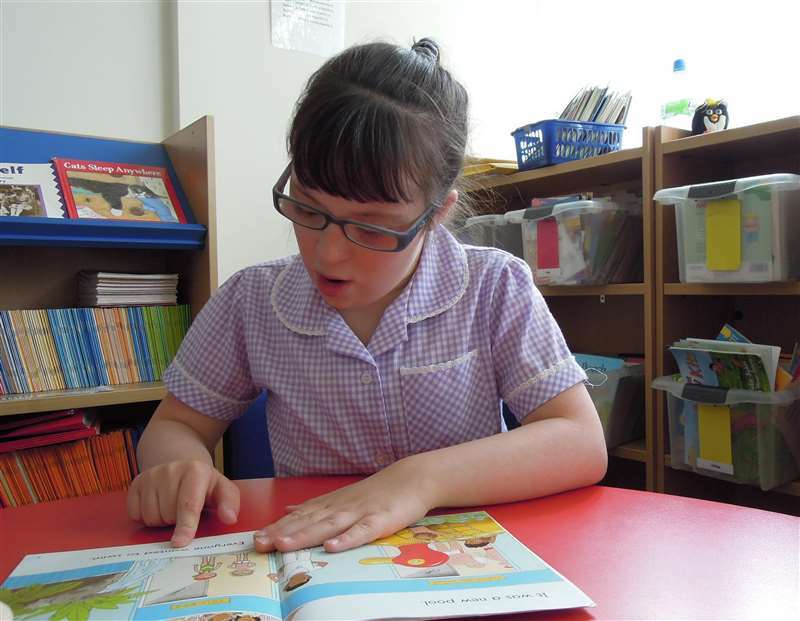 Over the past few years, RLI has helped educators in the UK, the USA, Ireland, Australia, New Zealand, Canada and over 30 other countries provide evidence-based instruction to thousands of children with Down syndrome. Who is RLI designed for? What is involved in delivering the intervention?